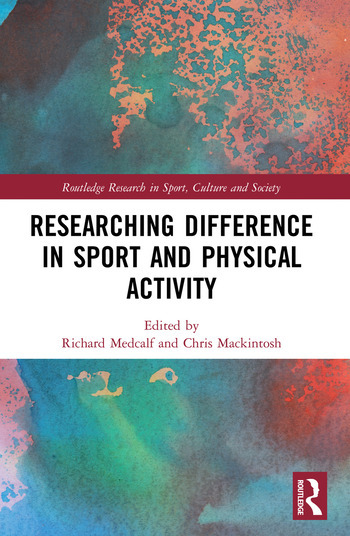 Researching Difference in Sport and Physical Activity goes beyond the content of introductory research methods texts to provide an insight into the methodological hurdles that are experienced when researching ‘difference’ in Sport and Physical Activity. diverse ethnic groups in sport and physical activity settings. Each chapter contends with practical issues of power and representation within the research process, to recognise how a researcher–participant relationship that considers those who are ‘othered’ serves to change the dynamics and processes of research. This is an important resource for students of all sports related subjects and essential reading for anyone interested in the study of marginalised populations in sport and physical activity. Richard Medcalf is Director of the Institute of Sport and Human Science at the University of Wolverhampton, UK, and Vice-Chair of Sport4Life UK, a Birmingham-based charity which exists to transform the lives of young people through the power of sport. He has published on issues primarily related to inclusive practice in sport and physical education. Chris Mackintosh is Senior Lecturer at Manchester Metropolitan University, UK. He is a National Advisor to England Golf, the Sport and Recreation Alliance and Antigua and Barbuda governments, and is working with the Japan 2020 Olympics as an invited Policy Advisor on ‘soft participation legacy’. He has worked with policy stakeholders including Sport England, The Equality and Human Rights Commission, FA, RFU, Rugby Football League and many local authorities on national strategies, and bespoke academic research projects. He was the lead Academic Advisor on the outdoor recreation Reconomics (2014) and Reconomics Plus (2017) reports that underpinned policy advocacy and two parliamentary debates on the value of outdoor recreation in the UK. In 2017–2018 he undertook the independent review of the United Kingdom Coaching Certificate (UKCC).